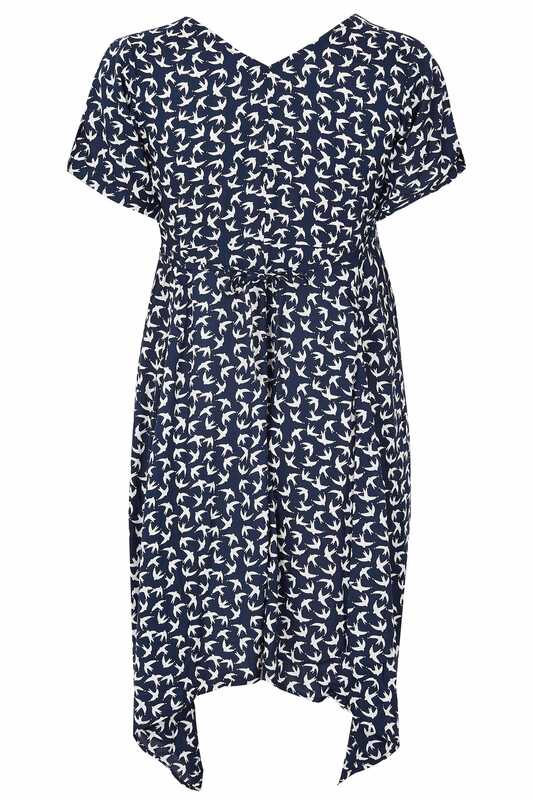 Add an elegant touch to your wardrobe with this dress. 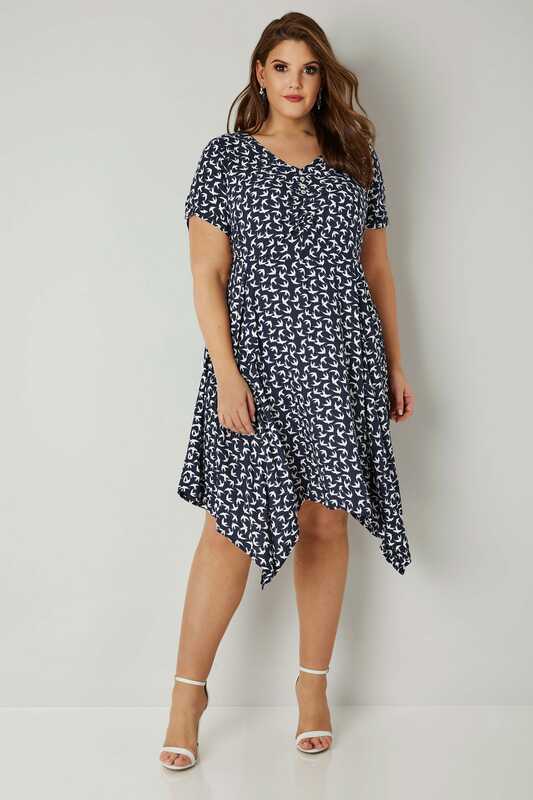 Designed with a self-tie waist for a more cinched in flattering silhouette, it features ruched detailing at the bust, short sleeves and chic cold shoulder cut outs. 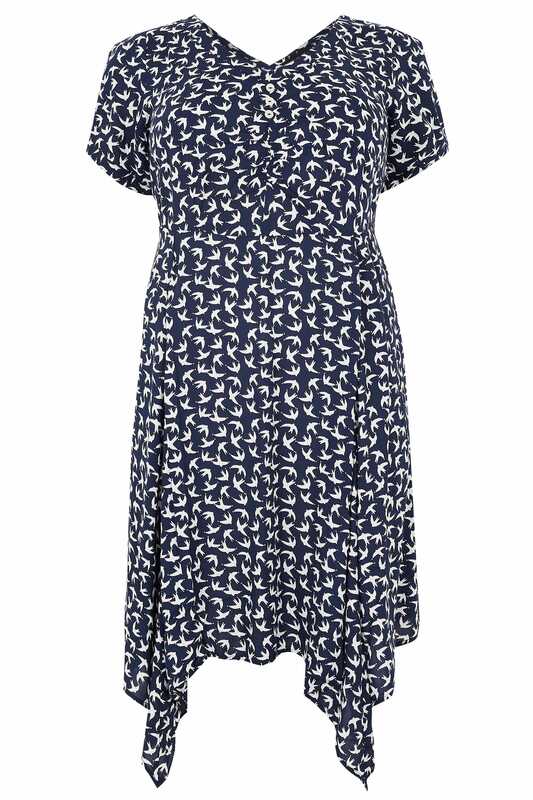 Team with wedges and a simple bag for an effortless day-to-evening look. 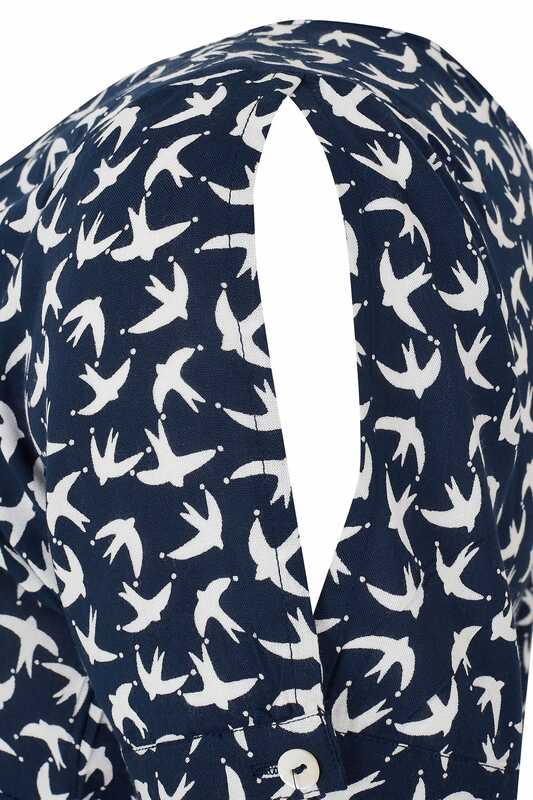 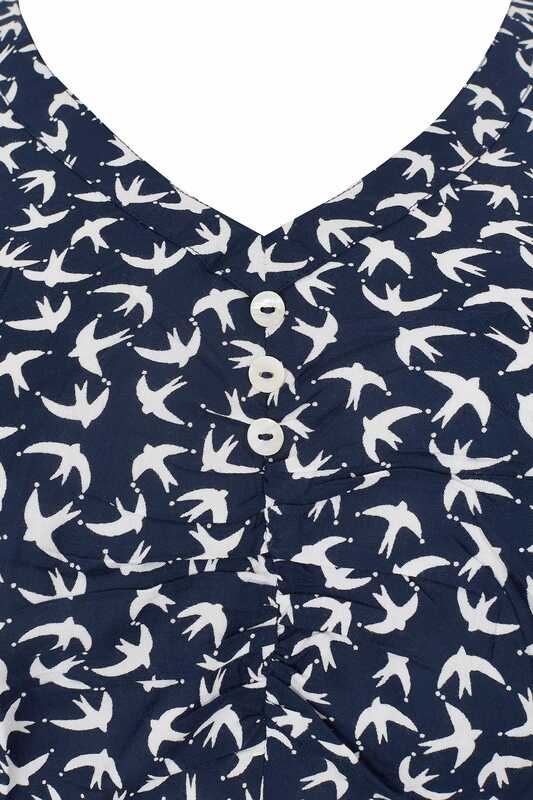 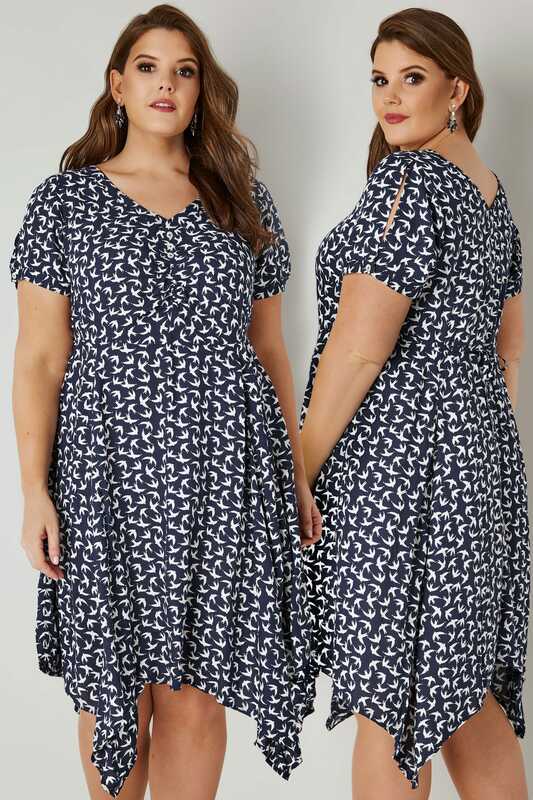 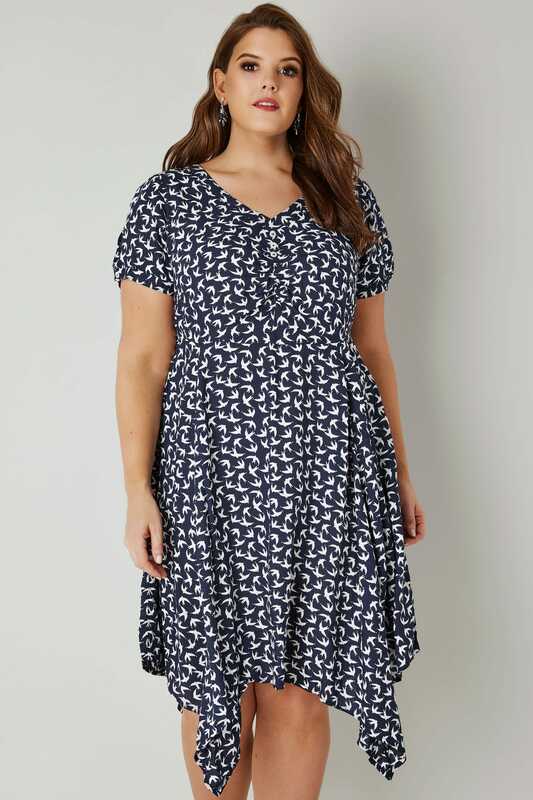 We love the navy and white swallow print.